New! 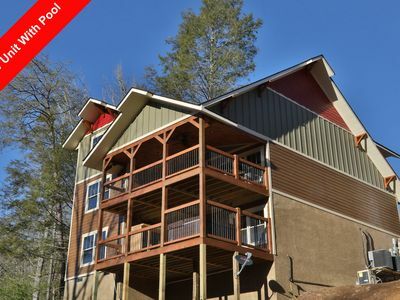 4BR Gatlinburg House w/ Picturesque Views! 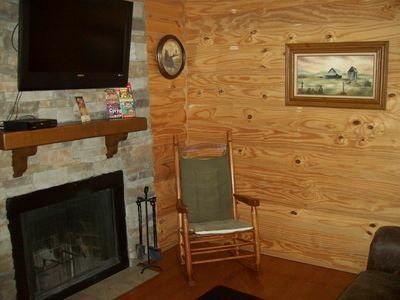 Special Rates through August! Book now! 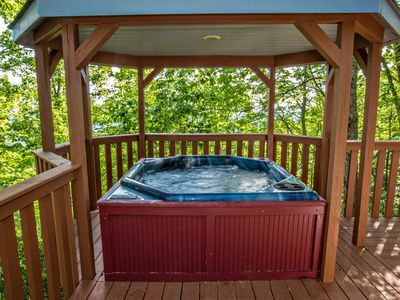 Discover the heart of Great Smoky Mountains National Park from this 4-bedroom, 3-bathroom Gatlinburg vacation rental house with sleeping accommodations for 12. 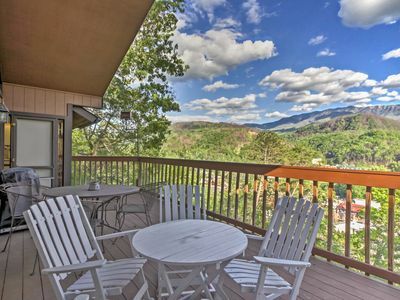 This spectacular property boasts 2,500 square-feet of living space and breathtaking views of the town, Mount Leconte and all the areas in between. 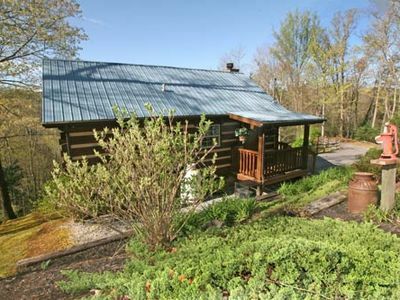 Located only minutes away from downtown and other area attractions, this house acts as the perfect starting point for all your Gatlinburg adventures! 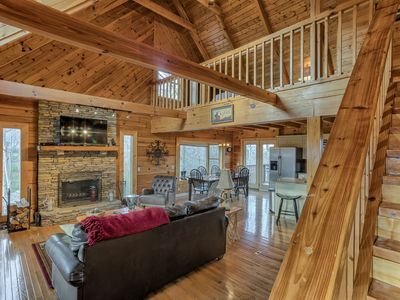 This charming home combines southern hospitality with luxurious living to bring you your ultimate vacation home. Step inside and enter into the spacious great room that encompasses the living and dining areas along with the kitchen. The back wall of this room features floor-to-ceiling windows, offering plenty of natural light and picturesque views of the area. 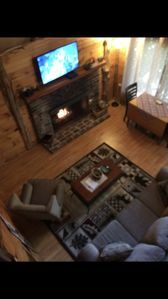 The living area features comfortable leather furnishings, flat-screen cable TV and an eye-catching stone wall which includes a wood-burning fireplace. Opposite the living area is a fully equipped kitchen where you can prepare your favorite home-cooked dinners and desserts. The space includes all your essential cooking appliances, an abundance of cabinet storage and breakfast bar with seating for 4. Enjoy a quick snack at the counter, or feast with the whole group at the table set for 6 that sits just outside the kitchen. 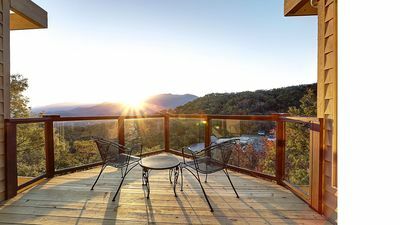 If you prefer to dine with a view, step out the glass doors onto the balcony that overlooks the charming mountain town of Gatlinburg and the picturesque landscape that surrounds it. This outdoor space is equipped with a gas grill and patio furniture. 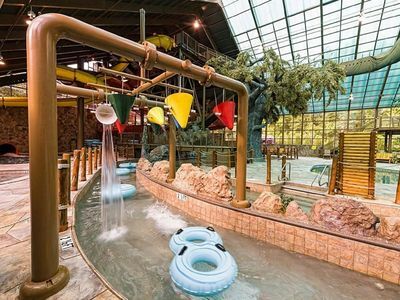 Retreat to the bedrooms when you’re through with the day’s adventure. 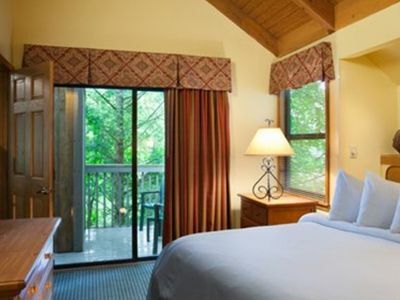 The master bedroom boasts a king bed, wood-burning fireplace and a jacuzzi tub. The second bedroom can be found on the main level along with the master, while the other 2 are downstairs and share a Jack-and-Jill style bathroom. 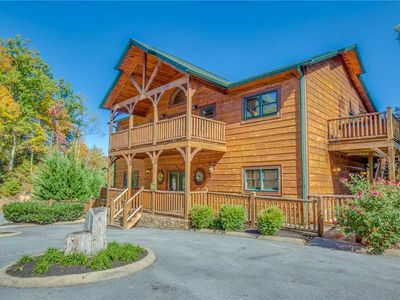 Only minutes away from the lively downtown area, this home is centrally located for you to explore all things Gatlinburg. 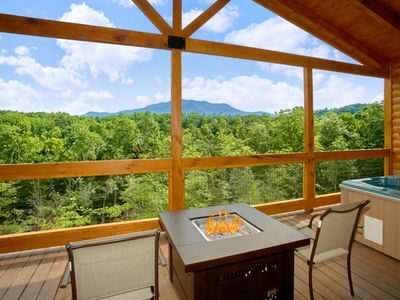 Stroll through the Great Smoky Arts and Crafts Loop and browse the shops and galleries. Aside from spectacular shopping, this charming town is also home to various events and festivals, along with a plethora of restaurants to suit all tastes. 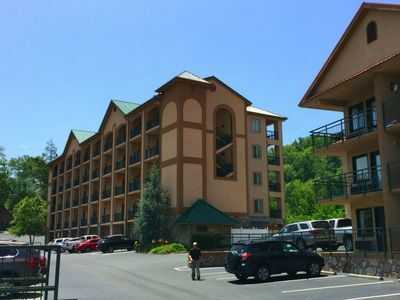 Gatlinburg also offers an abundance of opportunities to get outdoors, such as horseback riding, hiking and biking, white water rafting and fishing, along with skiing in the wintertime. 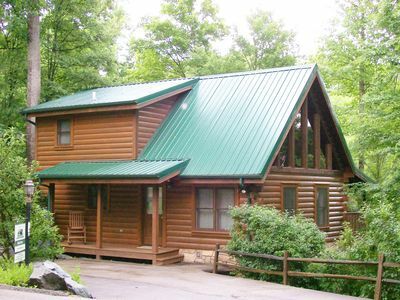 Just minutes from Great Smoky Mountain National Park, your options for outdoor adventure are truly endless! Bike through Cades Cove, climb to the summit of Mt. LeConte and enjoy the over 800 miles of trail that line the park. 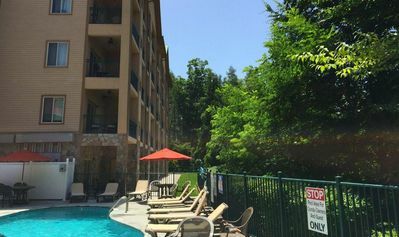 - Amenities include a fully equipped kitchen, air conditioning, wireless internet access, 3 flat-screen cable TVs, jacuzzi tub, expansive back deck, patio furniture, gas grill and more! 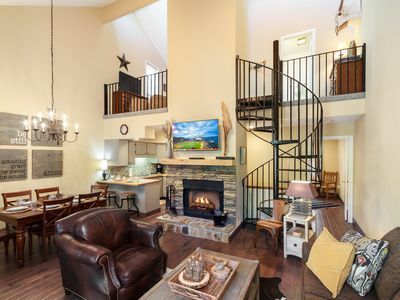 November 21st-26th 2016 1br/1ba delux villa With Outstanding Views! 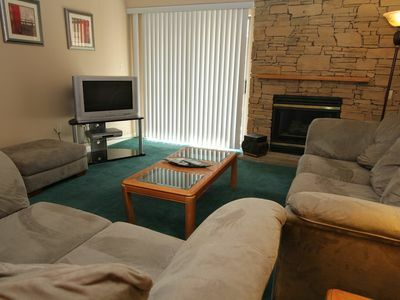 Downtown 2BR Condo w/ 2 Private Balconies and 1/2 block from Convention Center! Popular Ski Mountain Location ! Awesome view! * Near main attractions! 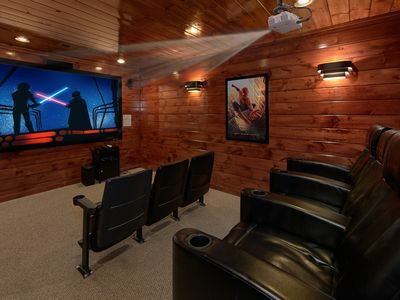 This 4 bedroom pool cabin built in 2017 will amaze you!